Online shopping is becoming more and more beneficial and affordable. One of the most interesting offers of today has to be Amazon HDFC Offer. So, what is it? The offer stands for 5% cashback on all purchases performed via the app, website or mobile version of Amazon.in. Each transaction with a value of Rs. 5000 or above is eligible for the HDFC offer. Check it out here. The entire process is more than just simple. All you have to do is to have a net of total purchases per month with a value of Rs.5000. Of course, in order to get the benefits, you will have to use HDFC Debit Cards. There are a few additional aspects you should be aware of. In order to be eligible for the cashback offer, you must have a transaction of Rs.5000 per month. The maximum cashback you can expect is Rs.500 once again, per month. 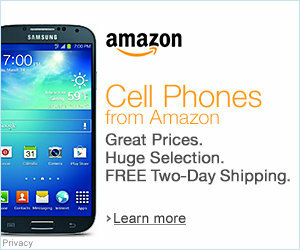 This is a great way to get even more discounts on phones under 10000. Average time, the bank needs to perform this transfer isn’t longer than 48 hours. In most cases, the transfer is completed between 24 and 48 hours. The mentioned time applies to working days only! The Amazon HDFC Offer is available only through the HDFC Bank Limited in India. Other banks and countries are not supported. Furthermore, the offer supports all debit cards except Maestro, Netsafe and JetPrivilege Debit Card. Just in case, you can contact a bank to confirm is your card supported. Click here to see a list of other cards and offers. HDFC Debit Cards Amazon cashback offer isn’t permanent, meaning that it is going to last for a specific period of time. As we mentioned, it is available only for the residents and citizens of India. However, it isn’t mandatory to use, so it is up to the individual to apply and use the offer in question. Each reward point is equivalent to Rs.1. Obviously, this simple method can generate up to Rs.500 per months in points which would normally go unused. Amazon claims that all terms and regulations must be accepted before the offer becomes active, but besides the fact we mentioned here, there are no any special requirements. The Amazon HDFC Offer is a great way to get up to 5% of cashback while shopping on Amazon. It is safe, reliable and beneficial in any way imaginable. At this moment we don’t know shall the offer be extended, or will we have the ability to use another one, but it is likely that Amazon will have similar offers in the close future.